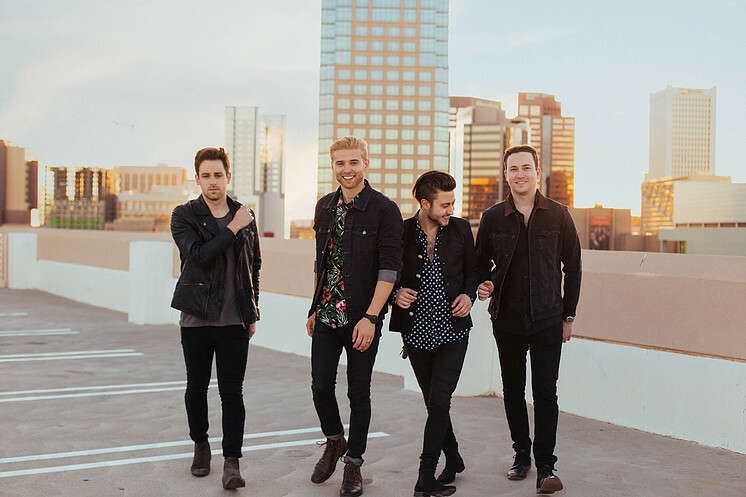 Arizona State University is teaming with creative forces to be reckoned with and in 2013 three of those students joined together to create Indie Pop band Weslynn. After a typical touring circuit of their home city, they added another member to complete the setup and extended their outreach to feature the rest of the World. Similar to Troye Sivan and One Direction, their EP BLACK + CHAMPAGNE is packed full of feel-good anthems, something to pick us all up from the horror that has been 2016. Single 'Strange Feelings' can be related to by anyone of almost any age who's been through a breakup and has certainly reached them, as the video currently has nearly 30,000 views on their Facebook page, definitely an achievement. Another song of note is 'New York Minute', a personal favourite of mine. It's better than anything the Pop-packaged artists could ever make and this song (in fact, the whole EP) is so catchy, with retro pick-me-up vibes being laid out from the start. These guys are definitely a Pop band to follow and look out for. Listen to BLACK + CHAMPAGNE on Spotify, buy it on iTunes and watch the great video for 'Strange Feelings' here. Follow them on Facebook, Twitter and YouTube to see what they're up to. Like my Facebook page to see my posts as soon as they're published.